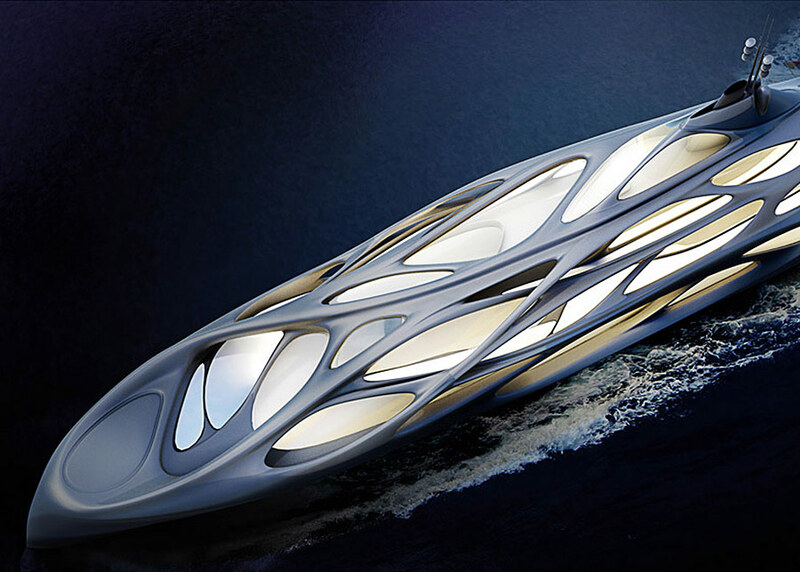 Taking her sleek, space-age forms to the sea, Zaha Hadid has teamed up with Hamburg, Germany–based master shipbuilders Blohm+Voss to launch a fleet of signature superyachts. 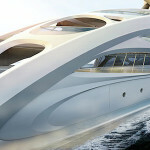 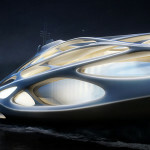 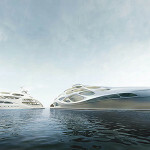 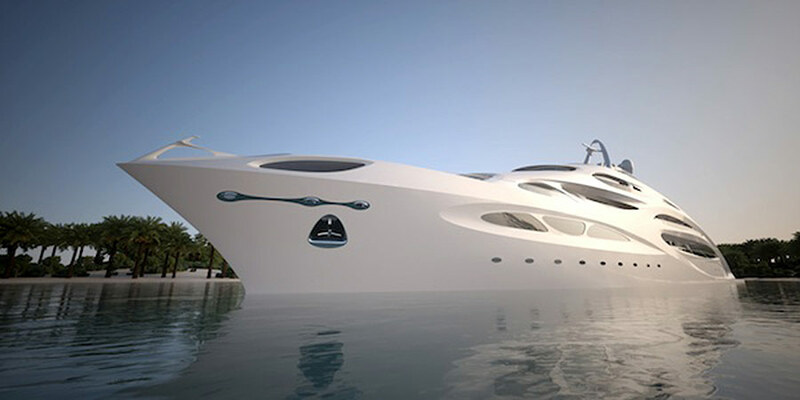 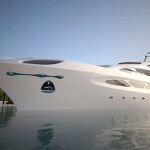 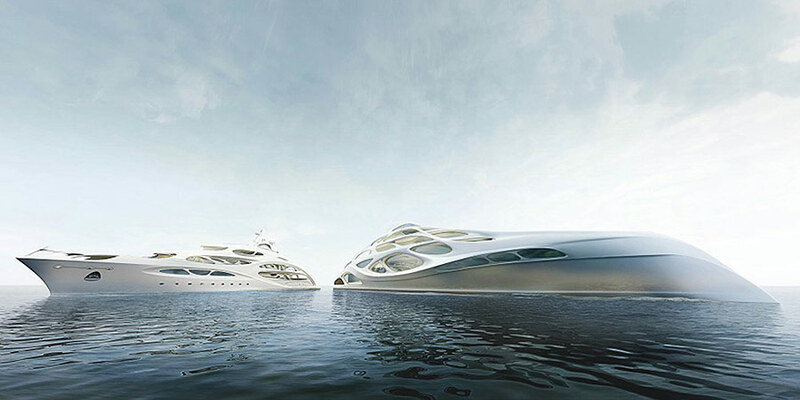 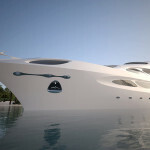 Together they have created The Unique Circle Yacht, a family of five distinct 90m yachts based on the design philosophies and sculptural contours of a 420-foot master prototype that was recently displayed in an exhibition of Hadid’s work at the David Gill Gallery in London. 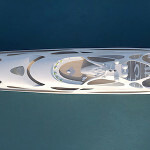 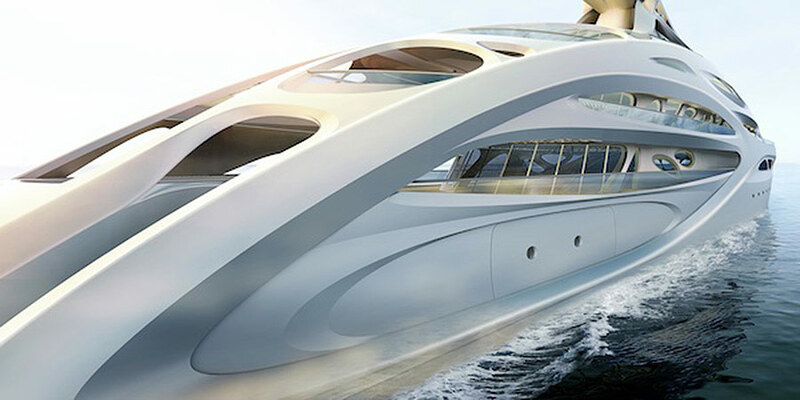 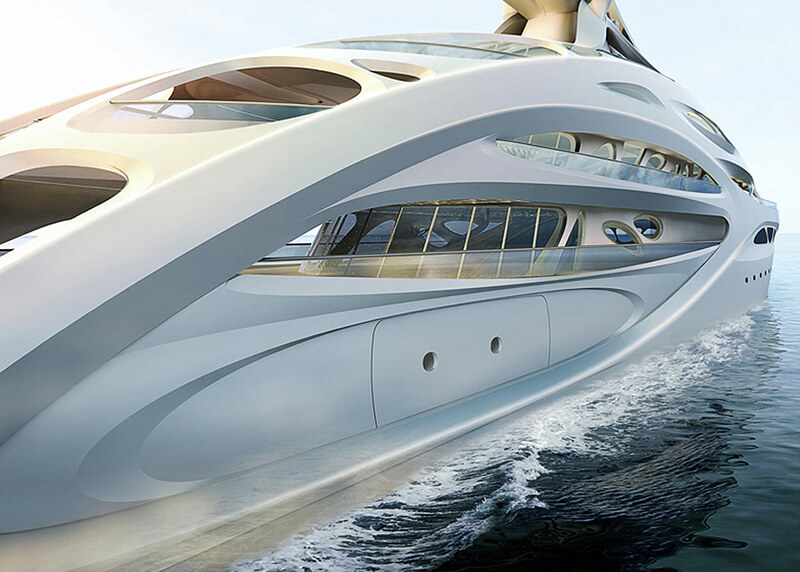 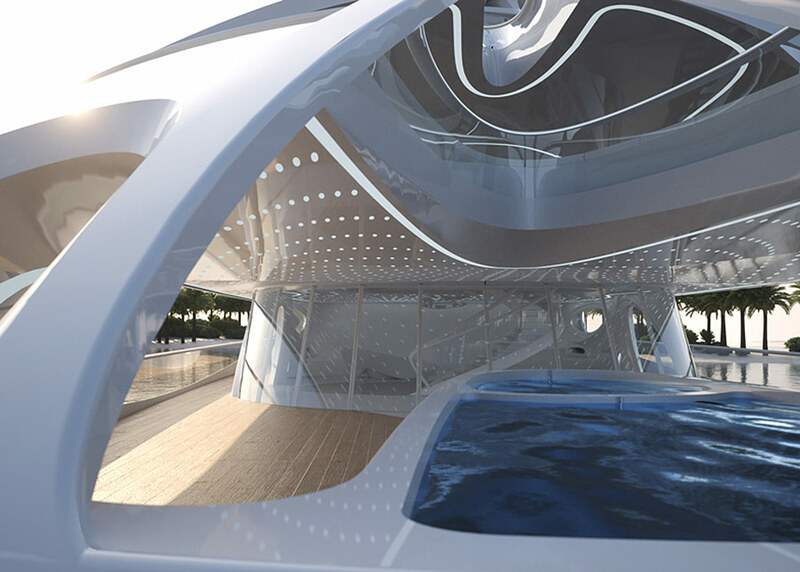 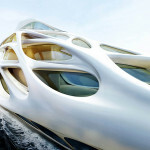 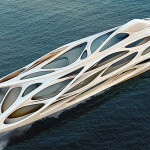 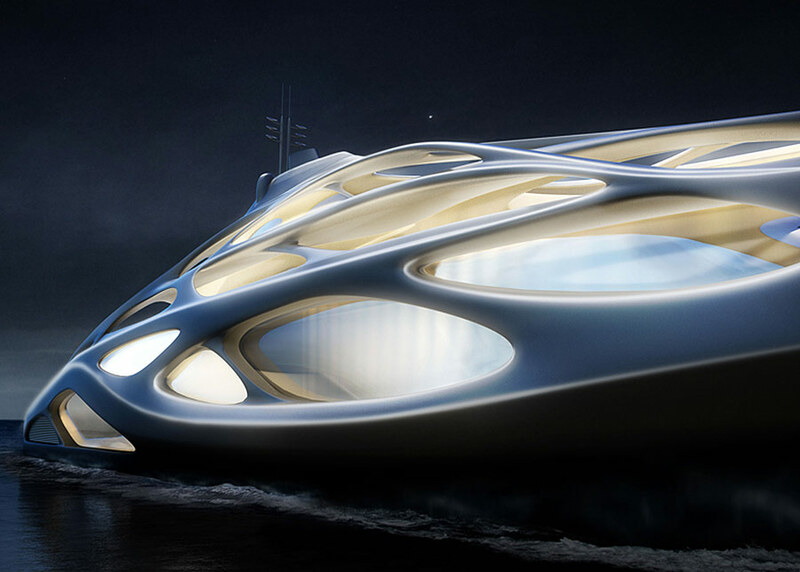 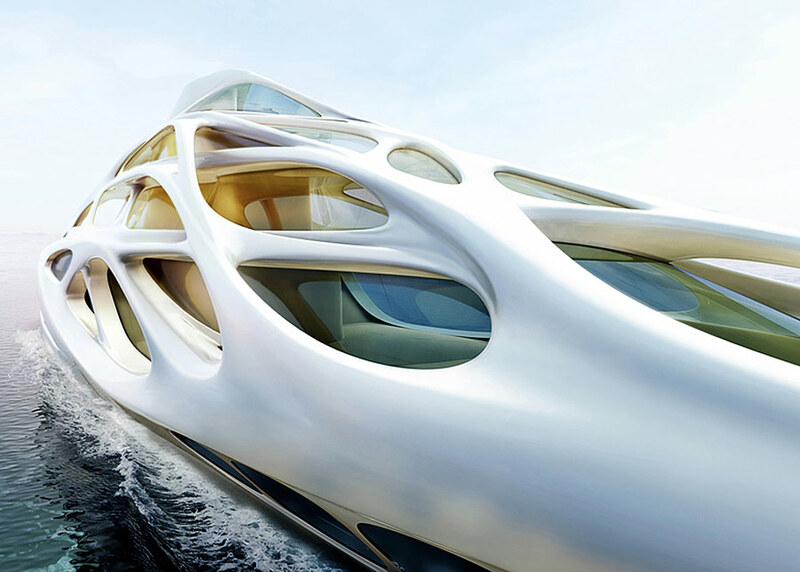 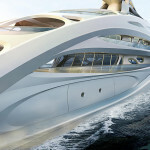 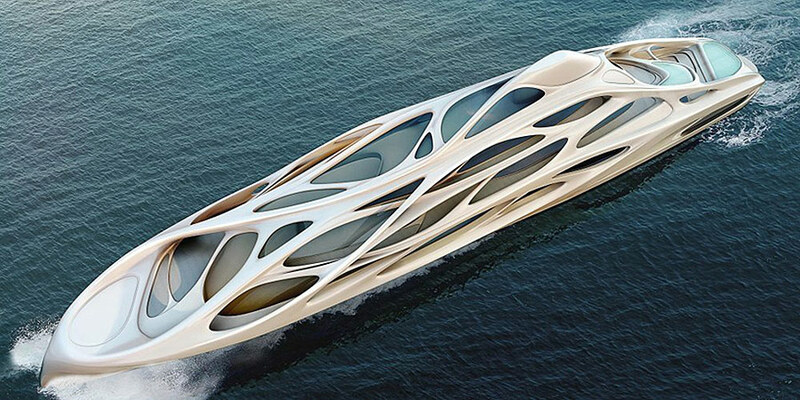 The web-like design of the yachts’ distinctively-Zaha upper exoskeleton was supposedly informed by fluid dynamics, underwater ecosystems, and the structural systems of marine organisms, while the hull was the result of intense hydrodynamic research. 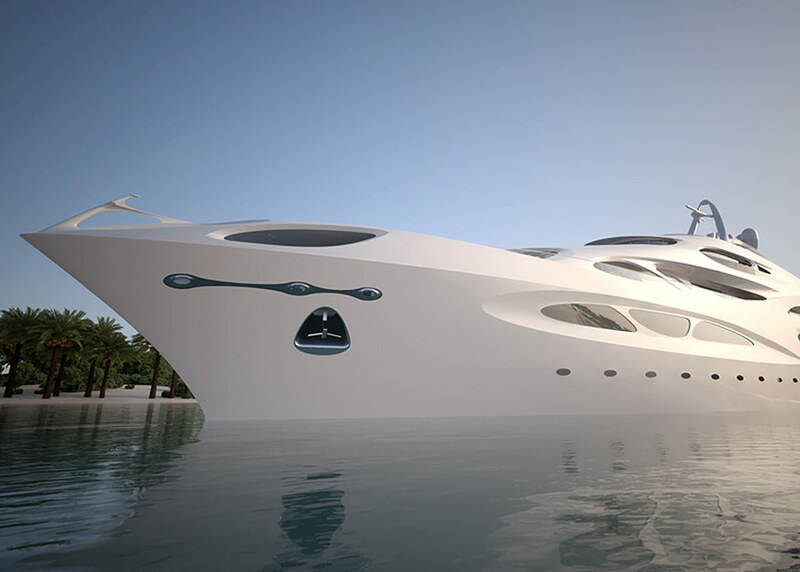 Out of the five Unique Circle Yachts, JAZZ is the first of which to be fully specified and detailed by the naval architects at Blohm+Voss. 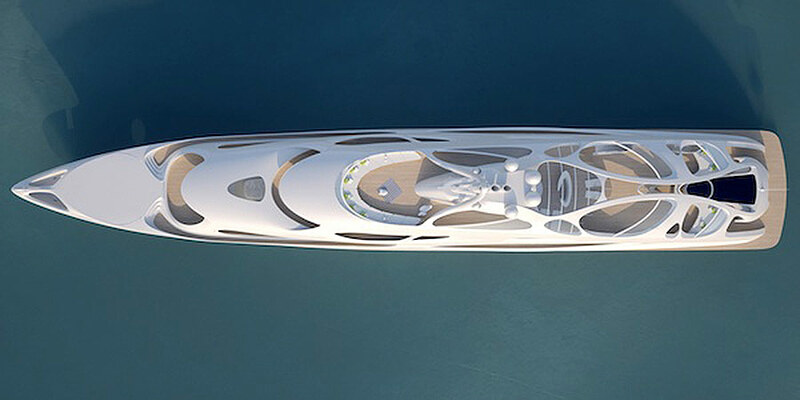 Each of the five yachts will be inimitable products of collaboration, combining the design language of the original prototype, specific technical refinements to address the distinct use of each yacht, and the individual requests of the vessels’ prestigious owners. 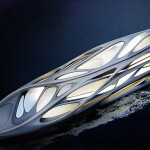 As Dr. Herbert Aly, CEO and Managing Partner of Blohm+Voss explained in a statement, this formula allows for the creation of unique, exceptional objects of complete design, while offering an adaptable template for future innovation.